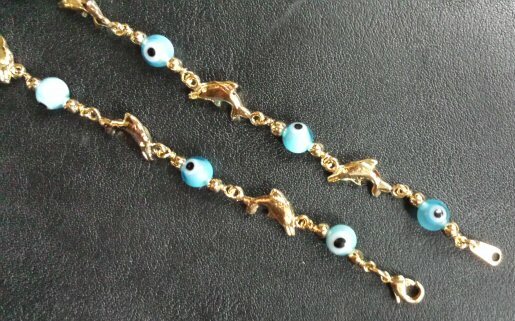 Beautiful gold filled bead bracelets with charms. 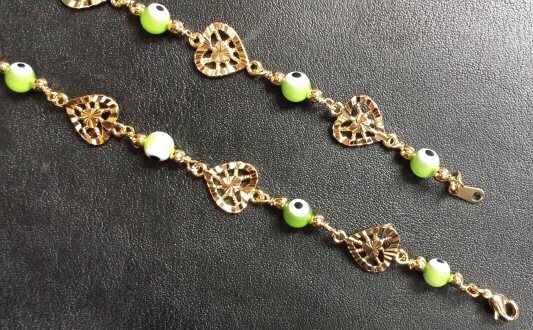 These 14 Kt gold layered bead bracelets are 8" (8 inches) in length and are very light and comfortable to slip on your hands. These could be worn also as an anklet by teens. Just take a tape and measure 8 inches around your hand or feet to see if it fits. 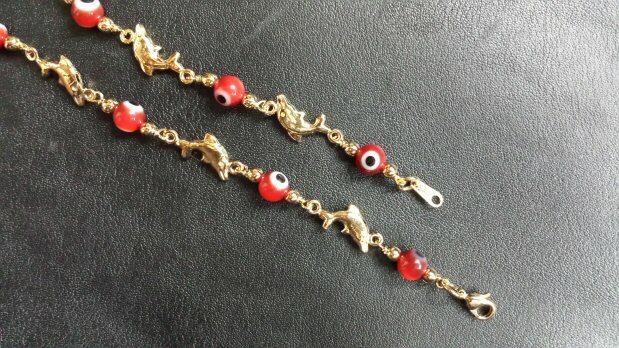 Pictured on these page are assorted colors in Dolphin charm or Heart charm with colored beads in between charms on the bracelet. Check out other styles at the bottom of this page for more. If a specific color you selected is not in stock, we can substitute with another color if available. These bead & charm bracelets are available in limited quantities.